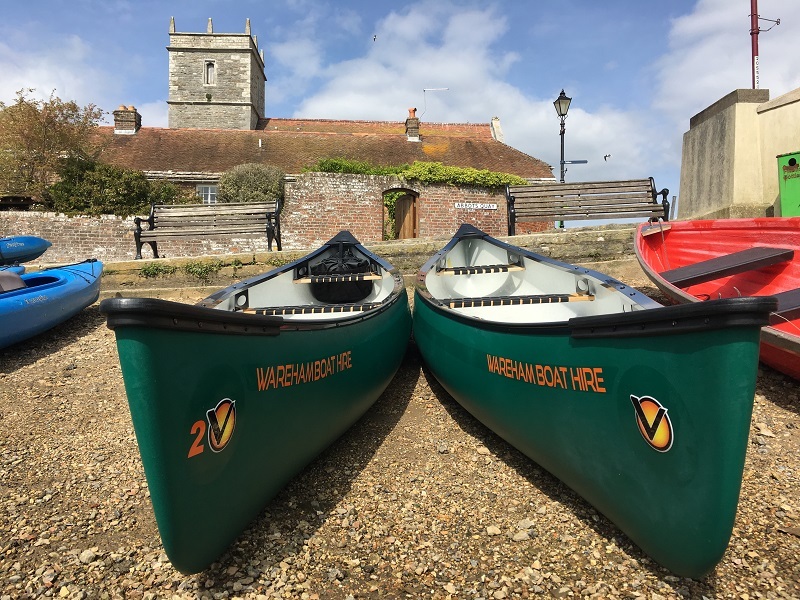 Wareham Boat Hire Ltd offers the ‘Venture Ranger 16 Open Canoe’ a really stable, fast canoe suitable for all – a versatile all rounder. Its design is well suited for river and harbour use or even pack it up for an overnight trip? Three webbed seats and longer than most models – comfortable and fast. 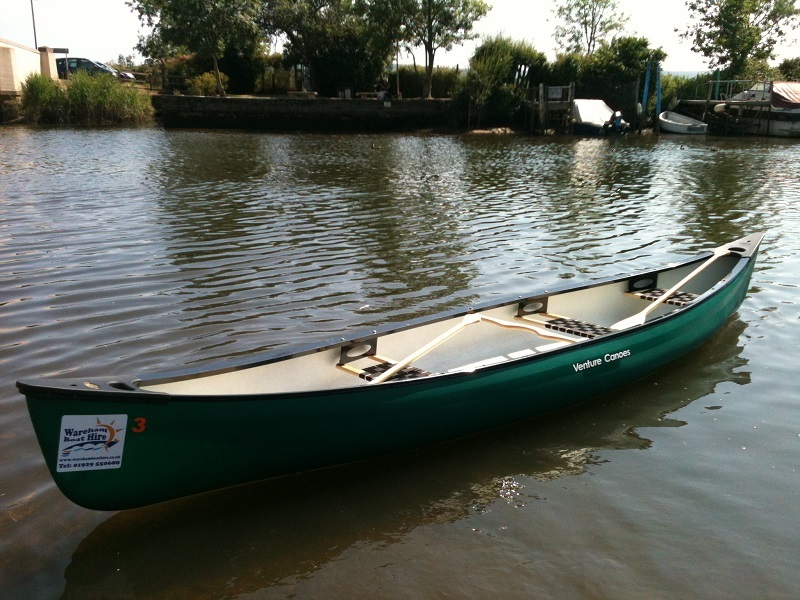 We believe this is the best open canoe available within its range. Why not come and give it a try! 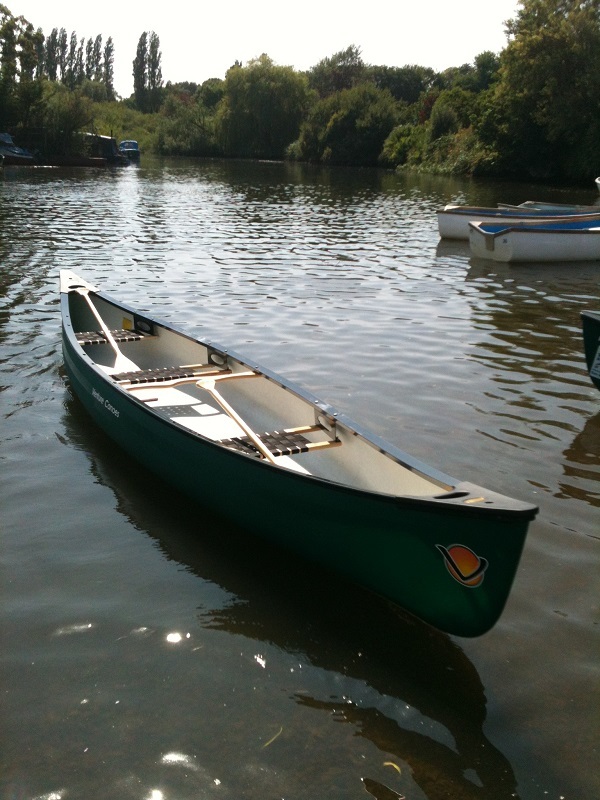 Top of the Range – Suitable for beginners or experienced paddlers. Canoe Lessons. 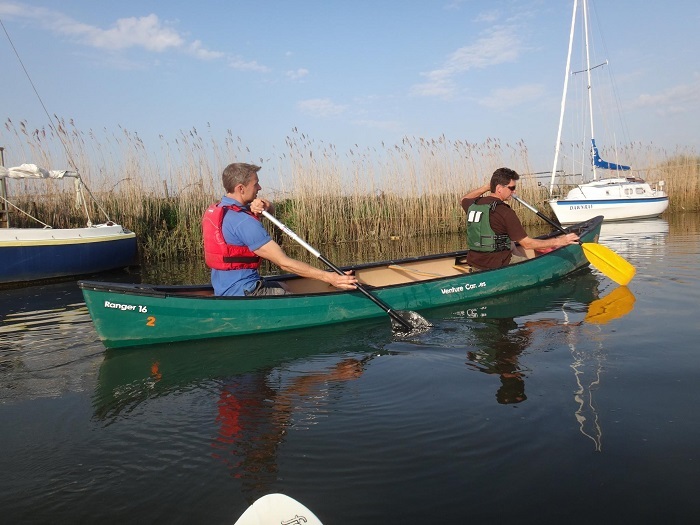 Available with Canoe England Qualified Instructors. Perfect for 1 – 3 people and still plenty of room to pack some lunch!